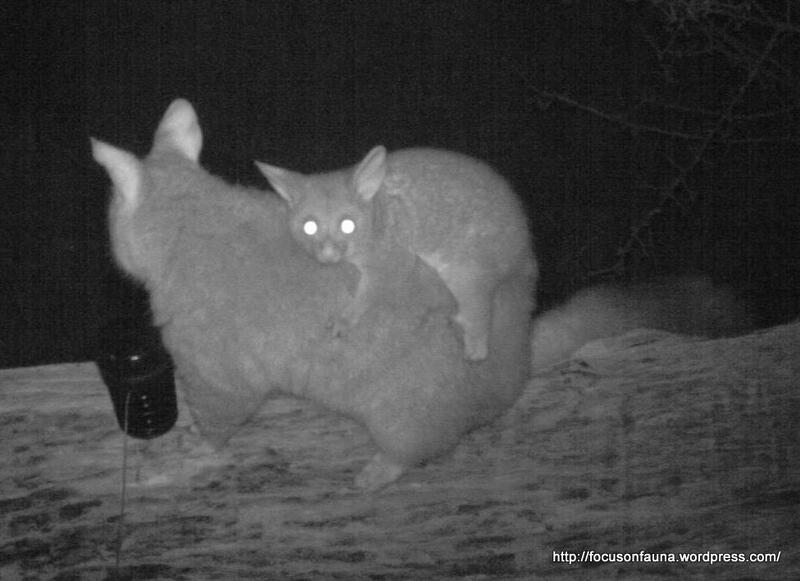 Two remote cameras set up on a steep burnt slope on a property just west of Strath Creek captured hundreds of night-time images of a family group of Common Brushtail Possums (Trichosurus vulpecula). The video clip below shows the female possum with her young riding on her back. It is noticeable from the lack of eyeshine that the mother has a damaged left eye. After emerging from the pouch at 4 – 5 months old, a young possum stays close to its mother for another 2 months or more, often getting a ride like this, before becoming independent. The video may take a few moments to load. This clip shows another possum trying to decide whether or not to approach our bait holder containing a mixture of rolled oats, golden syrup and peanut butter. Thanks Gena. It can take quite a bit of work, but it’s enjoyable work and rewarding, since we’re learning more about nature as we go. We can only suggest you use a blogging tool like WordPress which has tutorials and forums to help you along.